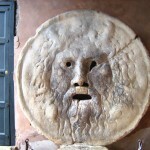 Bocca della Verità (Mouth of Truth) is one of the most popular attractions in Rome. 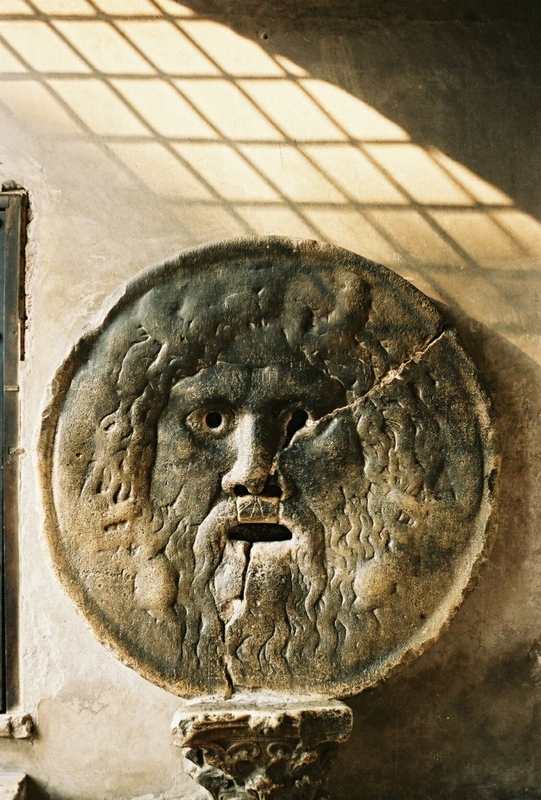 It is the face of a man (probably the god of the river Tiber) carved into marble, and it is thought to determine whether someone is saying the truth or not. How does the lie detector work? 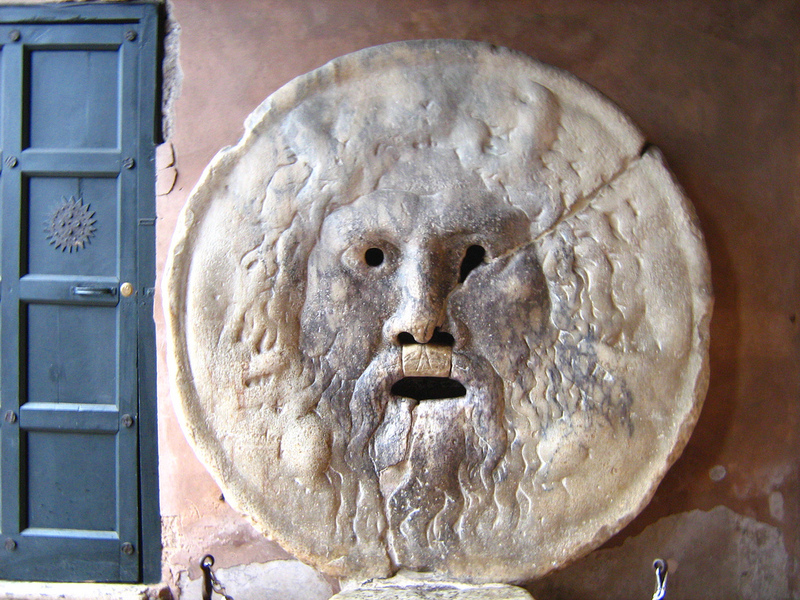 Simple, just say something with one hand in the mouth of the sculpture. Tradition says it should be bitten off in case you are lying. 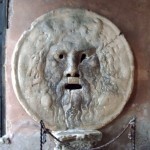 The “Bocca” is located in the beautiful portico of the Basilica of Saint Mary in Cosmedin and it is definitely a must see during your Rome city tour. 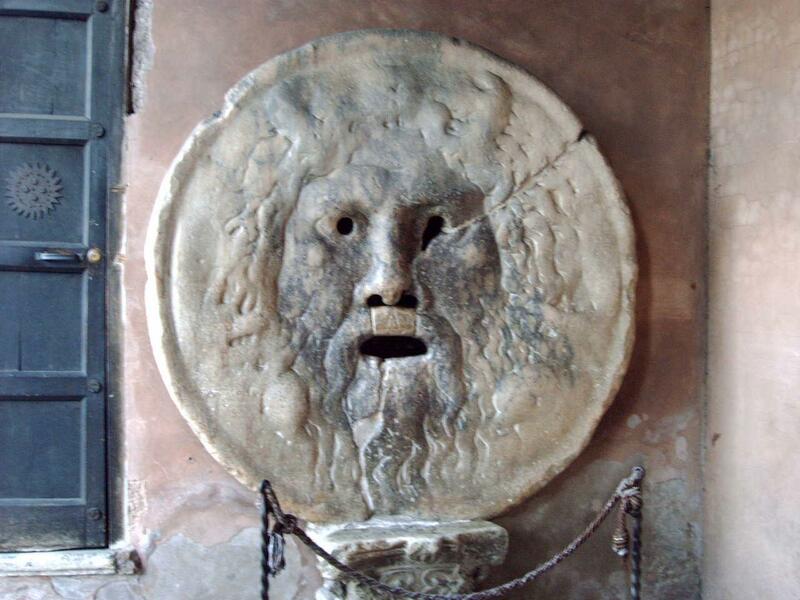 The Mouth is known to many people from its appearance in Audrey Hepburn’s popular film Roman Holiday. 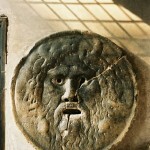 Dating back to the Middle Ages, the Mouth was used to test suspected criminals (probably someone with a a sword was on the other side), but there are also stories of jealous husbands who wanted to see if their wives were faithful. Many people say the Mouth doesn’t bite liars anymore, but… do we really want to run the risk?